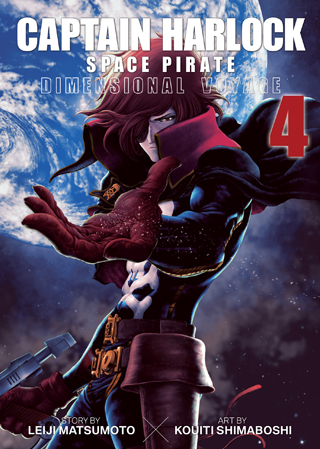 Harlock and the Arcadia sail into battle, their odds of winning look bleak. With a meager crew and an enemy that can read minds, do they stand any chance of emerging victorious? Meanwhile, Tadashi Daiba returns to his empty house on Earth, aiming to solve the mystery of the Mazon–only to find that it’s not quite as empty as he expected.